Ever since its release, enthusiasts have lamented that the E36-chassis BMW M3 didn’t get the high-zoot, Euro-spec engine. No individual throttle bodies, no 300-horsepower engines, no 7400 rpm redlines. According to Erik Wensberg, who served at the time as BMW M Brand Manager, the reality of that U.S.-spec M3 was that despite the lamentations, it enjoyed tremendous sales numbers. And that showroom success helped justify an aggressive, factory-backed motorsports program featuring the M3. The E36-chassis M3 was released in Europe in 1992. The award-winning coupe would finally come stateside for the 1995 model year. One small problem: BMW North America simply saw the Euro-spec M3 as too expensive, too complicated for the American market, Wensberg explains. BMW wanted to position the M3 against the Nissan 300ZX, Mazda RX-7 and various pony cars. If sold here in European trim, the M3 would have retailed for about $55,000-about $20,000 too high, Wensberg adds. There were other expenses to consider, too. The solid lifters would have required regular adjustments, while the M3 was expensive to insure in its home market. “It was simply a car carrying too big of a penalty,” he continues. The American arm of the company had some work to do. Would customers even buy an M3 in the first place? “We had a letter-writing campaign orchestrated by Bob Roemer,” Wensberg explains. Roemer, at the time a very influential columnist for the Roundel, the BMW CCA’s club magazine, challenged his readers to prove that an American market existed. The membership replied enthusiastically, sending in hundreds of letters. “And I read them all,” Wensberg says. He delivered those letters to Vic Doolan, then president of BMW North America. “To Vic Doolan’s credit, he took it very seriously,” he adds. BMW North America had one more request for its M3: an optional automatic transmission, a first for a BMW M product. “World-class performance that you could drive everyday–that was our credo,” Wensberg explains. Karl-Heinz Kalbfell, head of BMW’s motorsports department back home in Germany, listened to the Americans. He went out on a limb to give them the car they desired. The all-new, American-spec M3 arrived in time for the 1995 model year. MSRP started at $35,800. This M3 might not have been as radical as its predecessor, but it was still a big step above the rank-and-file 325i. The M3’s suspension was stiffer and included reinforced control arms, bushings and knuckles. The brakes were bigger. The body kit came right from Europe. The 3.0-liter, inline-six engine was more or less a big-bore version of the one found in the 325i. 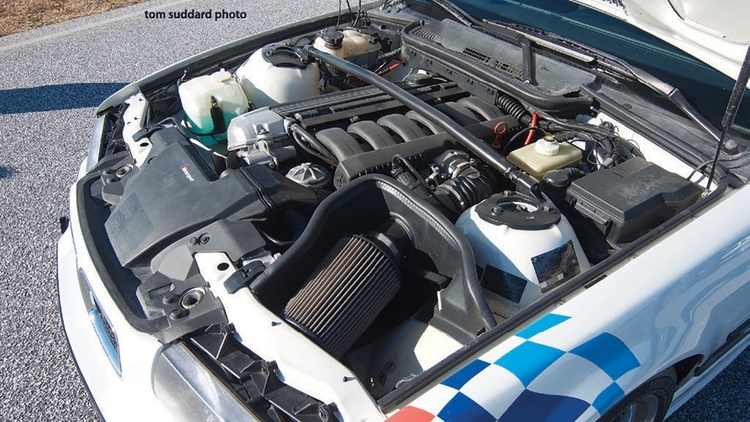 In M3 trim, it produced 240 horsepower-a huge number for 1995. BMW said that the new M3 could hit 60 in 6.0 seconds. Car and Driver recorded just 5.6. As hoped, the five-speed automatic eventually became an option during that first year. It was the first automatic that could survive behind an M Division engine. Buyers reacted very favorably. During its entire four-year model run, BMW had sold about 5000 copies of the original M3 in the States. The new M3 destroyed that figure in just its first year. Erik Wensberg, in the black shirt, was hired to jump-start BMW's motorsports program. 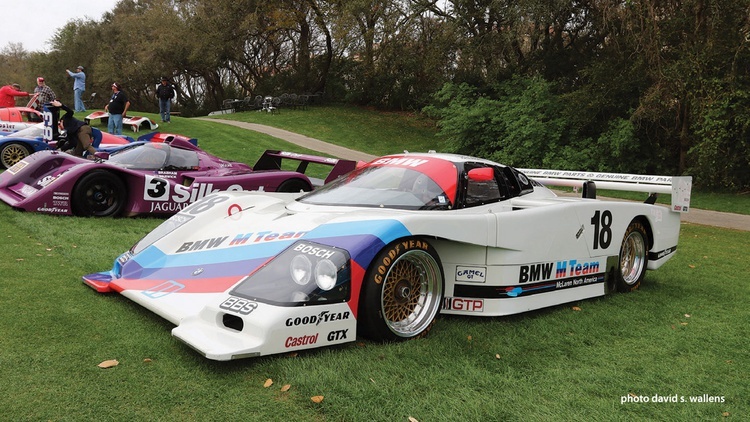 Not long after, BMW had a competitive IMSA GTP effort. 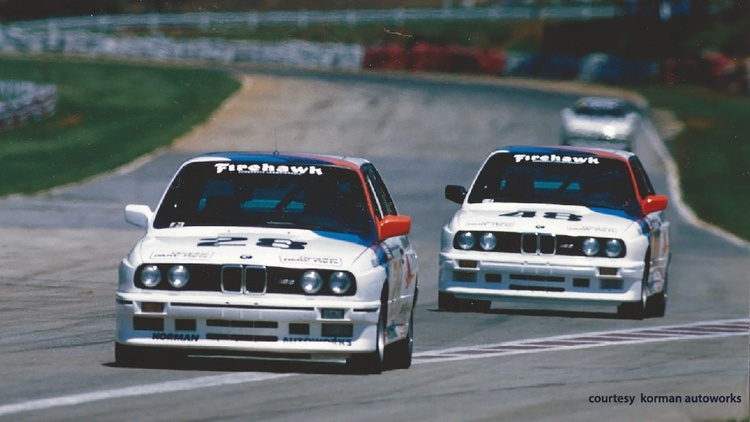 Soon after, BMW was racing in IMSA Firehawk. BMW’s worldwide motorsports legacy is legendary. Name a track or an event, and odds are strong that the auto maker has dominated it-likely more than once. That wasn’t quite the case in the U.S., though. “The M.O. at BMW was in and out, in and out, in and out,” Wensberg says. BMW’s American motorsports program had bouts of dominance punctuated with periods of inactivity. “I was brought in to help rescue a very expensive GTP program,” Wensberg recalls. The year was 1985, and BMW North America was knee-deep in a GTP program with constructor McLaren. Wensberg also put together the deal that put the Löwenbräu colors on Al Holbert’s Porsche 962. It was the most lucrative package in IMSA history. That major manufacturer was BMW. Wensberg first signed on as a consultant, and the delayed GTP program finally hit the track in Miami, the second stop in the 1986 season. The two-car effort featured Davy Jones and John Andretti in one machine and David Hobbs and John Watson in the other. 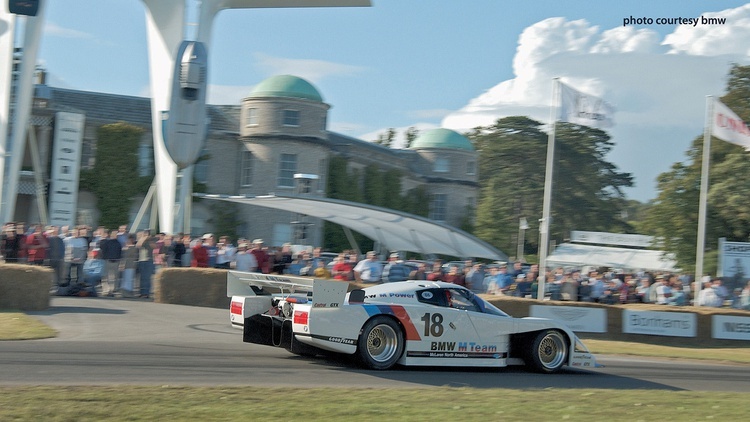 BMW’s GTP car was quick but unreliable. If a BMW didn’t finish near the pointy end of the field, it likely came home on the hook. By the end of that debut year, the team had just one victory to show: Watkins Glen. BMW killed the program at the end of that debut season, however, even though Wensberg had American Express on the line for a major sponsorship deal. “They were livid,” he recalls. After that, Wensberg and his M Brand raced on a shoestring budget. Preproduction cars destined to be crushed were sold to racers. Most went club racing, but a few headed to other venues, including Bonneville. A one-year-only program for 1987 with Ray Korman and his Korman Autoworks had BMW North America racing in the IMSA Firehawk series. 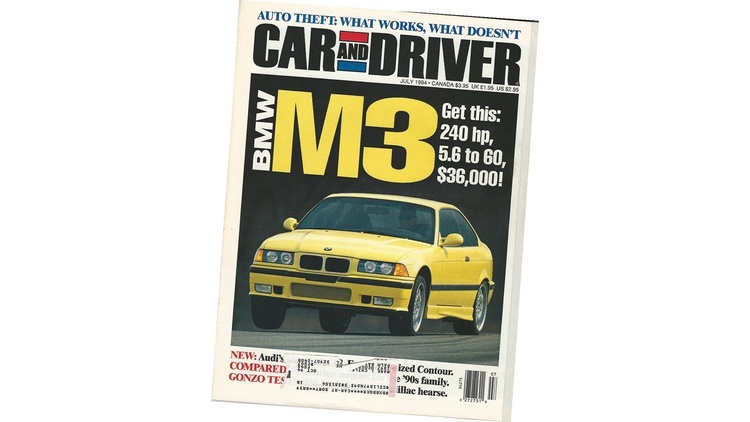 Even though the M3 first arrived stateside for the 1988 model year, those cars went on sale early in 1987. IMSA allowed them to race that year. 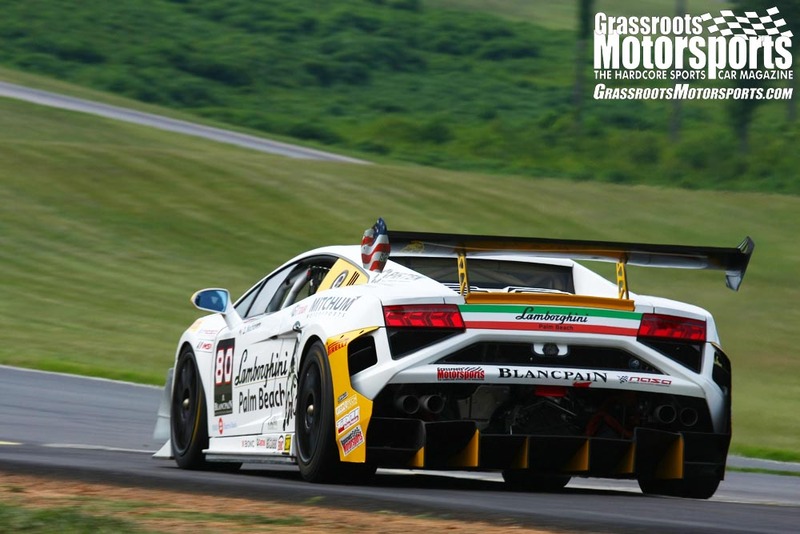 Korman Autoworks, already a championship team, fielded two cars–a pair of preproduction cars. They finished one-two at the Watkins Glen 500-mile affair. “In the years leading up to 1995, we literally raced with vapor,” Wensberg says. Flush with the prospect of a giant sales success, in 1994 Wensberg approached the BMW board with a request: Let’s go racing in a more serious fashion. 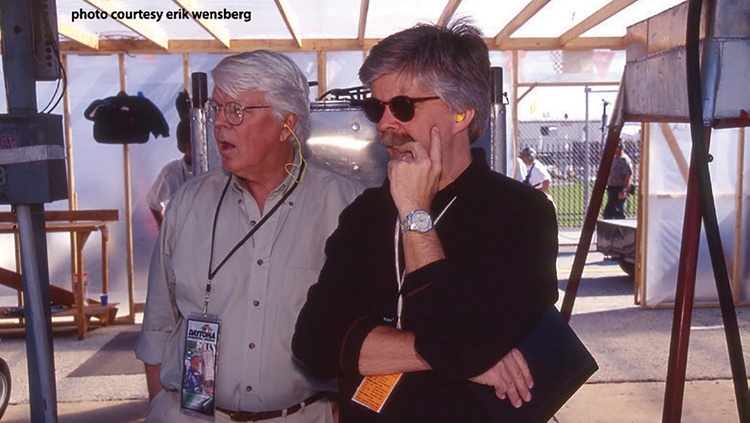 For 1995, Erik Wensberg was ready to race the M3 on America’s grandest stage. At the time, that was IMSA GTS competition. Call it the spiritual predecessor to IMSA’s current GTLM program and you’ll be close. There was a big difference: tube-frame race cars. BMW, though, planned to field production-based cars. “We wanted to race what we sell,” Wensberg explains. The manufacturer’s big competition in the GTS-2 class would be various iterations of the Porsche 911. Wensberg sold the idea to the BMW North American board, but he admits making one mistake: He accepted half of his original budget request. 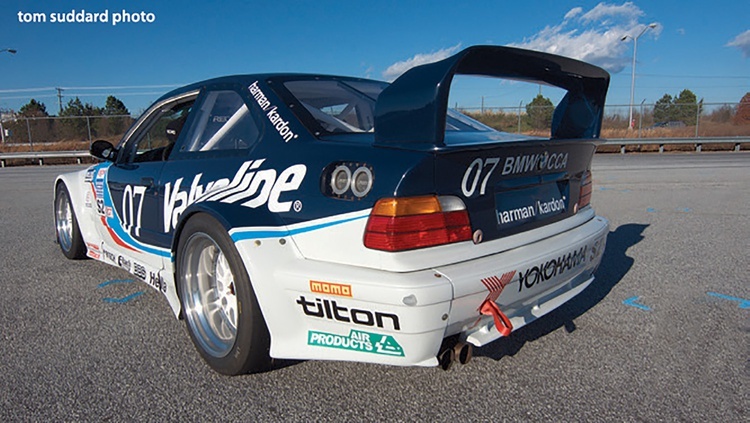 As a result, the factory-backed BMW race cars would carry outside sponsors throughout the program: Yokohama, Red Bull, Valvoline and others. He hired Tom Milner’s Prototype Technology Group to run the effort. Since money and development time were tight, getting on track right away required finding cars that were already prepared. Friends at BMW Motorsports and longtime BMW driver Dieter Quester located the first two cars. Chassis 001–the one that we checked out–was originally built as an FIA Group N development mule, supposedly for wind tunnel testing. FIA Group N rules, a motorsports standard for decades everywhere but here in the U.S., welcomed homologated, nearly showroom-stock cars. Picture something close to an old IMSA Firehawk or current SCCA Improved Touring car. PTG basically had to turn one of those machines into something that could compete against bespoke competition cars. 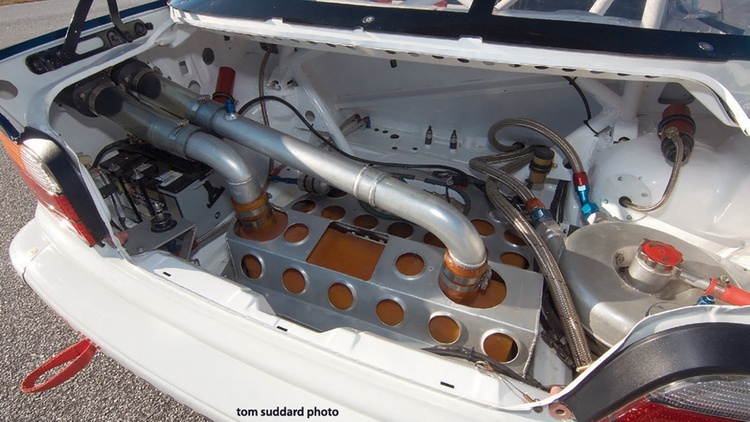 That called for extra power, which came courtesy of the fact that IMSA homologated the higher-output, Euro-spec engine. Of all the M3s campaigned by PTG, this one was the first. In fact, it was the first E36 chassis prepared by BMW Motorsports. Its serial number is 001. PTG mostly used it to develop the updated package that would appear for the 1996 season, including the fender flares and widened track. It’s believed that during that 1996 season, this chassis usually wore No. 07–but not always, Wensberg notes, as car numbers occasionally moved from tub to tub. Its graphics weren’t static, either. After sporting the Valvoline colors, the chassis then wore the green and white of First Union Bank. Records show that Dieter Quester and Marc Duez ran this car in Red Bull livery for the 1997 season, as both drivers were sponsored by the popular energy drink. After a DNF at Daytona, the duo bounced back, rarely finishing outside of the top five for the rest of the season. Chassis 001 won the last race of 1997 and was sold soon after. For a professional race car, it was old; the team introduced the E46-chassis M3 in 2000. By the time Scott Hughes found the car several years later, it was a mess. Even so, Scott wanted a genuine PTG car, so the deal was signed. TC Kline’s shop handled the full restoration, which included a new trunk floor, quarter panels and front frame rails. Then it was repainted to its Valvoline colors. 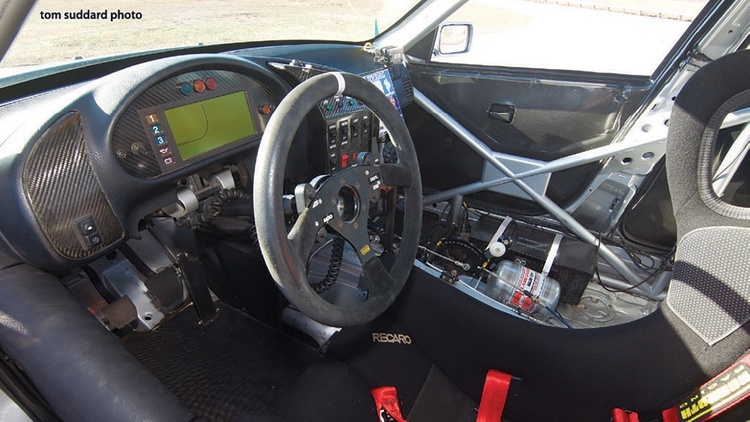 Factory-built race cars aimed at independent race teams and drivers were again becoming a big deal in the 1990s–it was almost like the 1960s all over again. The competition-tuned Camaro 1 LE, already a motorsports staple since the ‘80s, was joined by more options. Dodge and Plymouth dealers both started to offer the race-ready Neon ACR in 1994. It quickly dominated both club racing and autocross. That same year Mazda unveiled the Miata R: no factory frills yet a stiffer suspension and handy Torsen differential. It also dominated. Ford’s SVT division reintroduced the Cobra R for 1995. Up front was a fiberglass hood. Out back: a Fuel Safe fuel cell, right from the factory. Other niceties included bigger brakes, stiffer suspension and upsized wheels. The big news could be found in the engine bay, though: The standard 5.0-liter V8 was replaced by a 5.8. Porsche was on the scene, too. The first 356 ever produced went racing soon after it left Gmünd, followed by a long lineage of factory-built race cars–some fashioned from street models, others designed from the ground up as competition machines. In the early 1990s, Porsche offered several different competition-tuned variants of the 964 to both the European and American markets. They all followed a familiar formula: less weight, more power. For the 1995 season, Wensberg planned to deliver the M3 Lightweight. As the name implies, pounds were shed. 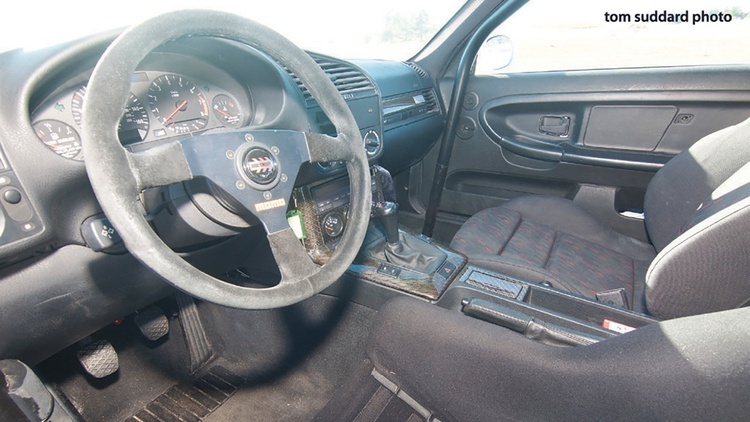 Aluminum door skins, deleted sound deadening and a lack of air-conditioning helped the car lose about 200 pounds. 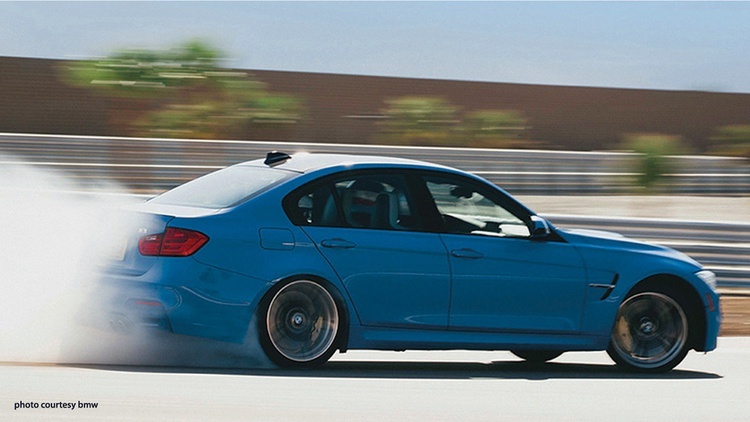 The M3 Lightweight also received wider wheels, stiffer suspension components and a quicker final drive. Plus, the ECU didn’t receive the speed limiter found in the standard M3. And like the Cobra R, this track-ready M3 was offered in just one color: white. Then there were the trick extras that the factory couldn’t install, so they were shipped loose in the trunk: a deeper oil pan, lower X-brace, adjustable front splitter and rear wing. Prototype Technology Group was tasked with installing the kit before delivery. The M3 Lightweight was designed for the the day’s professional road racing series. 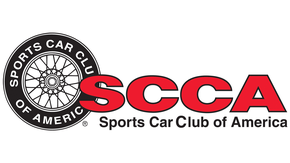 For sprint races, that was the SCCA World Challenge. Endurance teams faced off in Professional Sportscar Racing’s Speedvision Cup, the successor of the old IMSA Firehawk series and an earlier incarnation of today’s Continental Tire SportsCar Challenge. “We were going to build a hundred of them,” Wensberg says of the M3 Lightweight. Unfortunately, the factory couldn’t deliver. He was able to plead for 10 cars right away, but the rest didn’t show up until the end of the 1995 season. He figures that close to 120 to 125 were eventually built. The M3 Lightweight might have missed the 1995 professional season, but it did eventually make the grids. It became a popular club race car, too. For 17 years, Michelin developed tires on one of the cars at their Laurens Proving Grounds. Today, the M3 Lightweight is a bona fide collector: We’re seeing pristine examples fetch about $150,000. The ‘90s sport compact movement was defined by big wheels, big wings and big graphics. The British Touring Car Championship helped influence that look. But the BTCC was more than looks and attitude. It featured some of the day’s top drivers locked in close-quarters competition. The series was notorious for sending cars up on two wheels, various flotsam flying through the air. This was pre-internet, but fortunately we had Speedvision on TV. 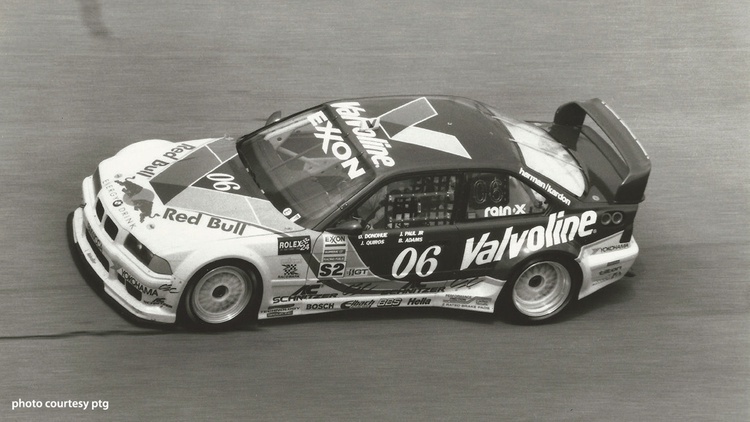 The BTCC featured sedans from Ford, Vauxhall, Alfa Romeo, Renault, Volvo, Honda and, yes, BMW. The cars were powered by naturally aspirated 2.0-liter engines making at least 300 horsepower. These engines had short fuses, and for a brief period that motorsports spark came stateside. The North American Touring Car Championship folded after only two years, but right out of the gate it attracted factory-supported efforts. The Ford Modeos and Honda Accords were imported right from Europe, but Dodge reportedly spent millions of 1996 dollars building its Stratus sedans from the ground up. “The thing to remember is that Super Touring cars were essentially full-bodied F1 cars of the period in terms of technology,” Spitzner explains. Despite all of the hype and exposure, BMW didn’t commit to the series. “We didn’t really did see a place for it here,” Wensberg explains. “We did not see the marketing value for the brand in the U.S.” He adds another reason for the hands-off approach: the embarrassment that would result if BMW lost to cars from a lower price point. 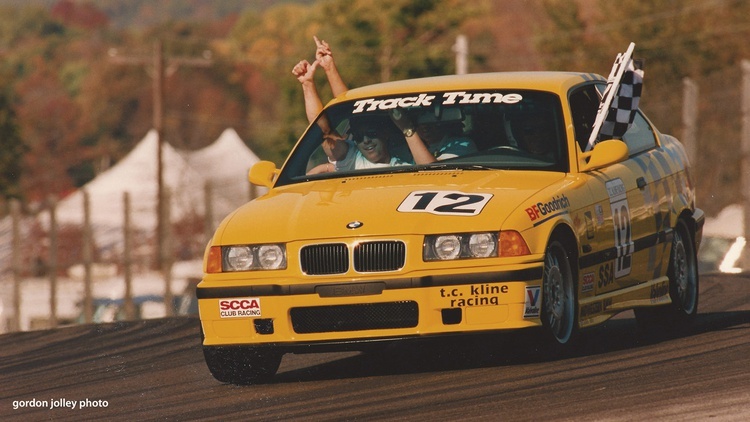 Randy Pobst won the inaugural driver championship in a Honda Accord prepped by TC Kline Racing, but BMW drivers could vie for factory contingency dollars in 320i touring cars imported from other markets. Darren Law, now a winner at Daytona and NASA’s 25 Hours of Thunderhill, ran one for Hartong Motorsports that debut year, while the top BMW belonged to sixth-place finisher Steve Petty. 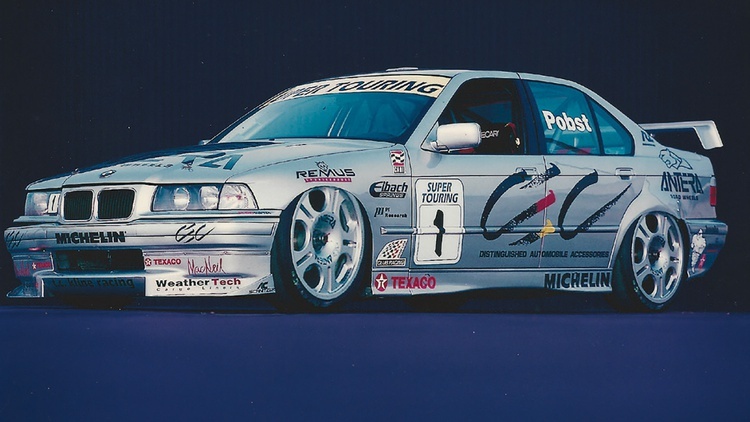 After securing the 1996 Super Touring championship, TC Kline Racing switched to a BMW for the following year, putting Randy Pobst in this BMW 320i that had previously run in the Italian Super Touring Championship. The Lightweight was a U.S.-spec 1995 M3 at heart, and felt like it at the wheel. With a bit less weight, stiffer springs and a shorter final drive, this version was a bit quicker in all ways. Less weight makes every performance parameter better. 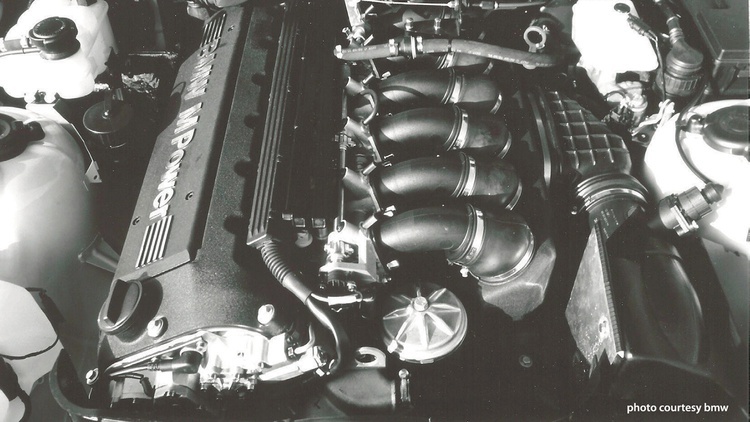 And I know we hear complaints that the S50 powerplant was not worthy of the “M,” but it sure felt quick in that era. On the road, what I noticed the most was the stiff ride. It was almost harsh. But on track, it was much more racy than the standard car. One would not mistake one for the other. The reduced roll enhanced the sense of control significantly at speed, especially in transitions. Autocross, anyone? Combine the much quicker weight transfer with the shorter gear and the ultra-light shift effort, and the Lightweight came to life; a Lifeweight, let’s call it. While the standard car was aimed squarely and very successfully at the American market, it was suspended too softly for track work. It drove very well to about 85 to 90 percent of the limit, then got all out of sorts. The Lightweight was stable and composed all the way to flat-out-plus. 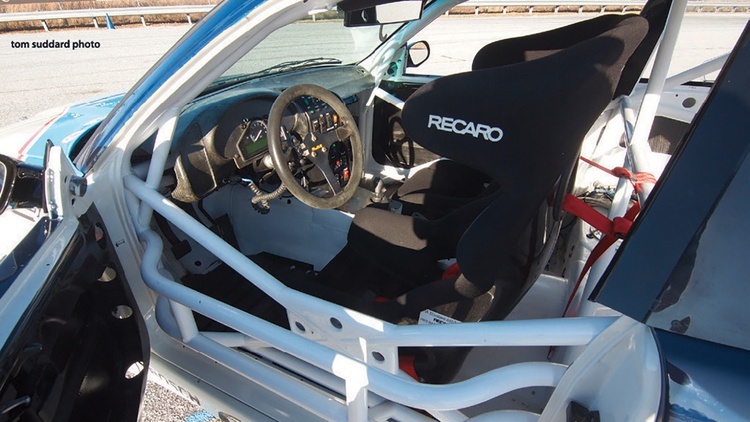 The Showroom Stock A M3 we drove to the 1995 SCCA Runoffs championship would lean like a palm in a hurricane and loft the inside-front tire. The firm platform of the Lightweight, not so much. The aero splitter and elevated wing added noticeable downforce in small amounts, too. Most memorable moment? 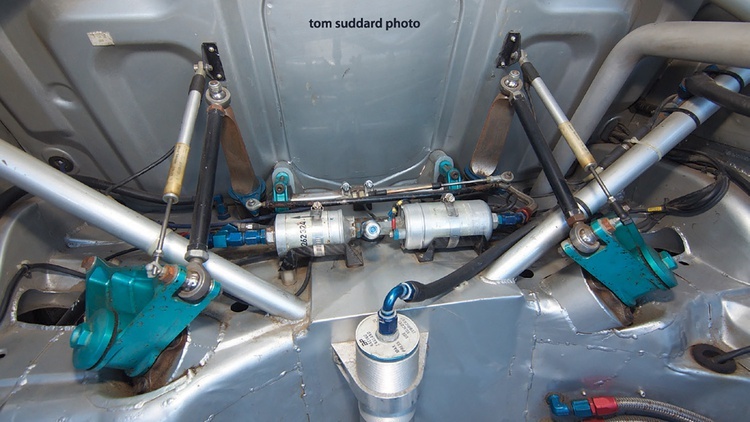 A factory-loaned Lightweight was a rival in the 3500-mile One Lap of America that year, and TC, Linda Pobst and I were in a standard M3 with TC Kline suspension. 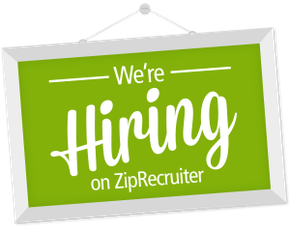 On a hot, steamy, endless interstate transit, we spotted the sweaty, windows-down Lightweight guys and rolled past, jackets zipped and shivering in the chill of the air conditioning. Head games. The 320i Touring Car stretched the family saloon rules to the fraying point with many formula car construction techniques–like rocker-arm anti-sway bars–all born from the fertile minds of McLaren. The unrelenting suspension made this Touring Car quite reactive to any pavement irregularities. However, by season’s end we had dropped all the way to 250 lbs./in., and that finally hooked the rears, solving a wheelspin issue it had all year–to my great relief. But we never really did get the front right. The car exhibited strong understeer mid-corner in the tight ones, someplace it should have excelled. Our race engineer, Craig Nagler, theorized that it was caused by a tire rub (there appeared to be zero clearance), but wider flares were neither in the budget nor the rules. These cars were required to stay in stock body dimensions, and McLaren pushed it to the last tenth of a millimeter. The engine was a screaming 2.0-liter four that had to be kept on the boil–low torque, high horsepower. Sequential shifters were brand new then, and we cranked that big lever constantly to keep it hummin’. “Best thing that ever happened to a racing gearbox,” I quipped. The greatest challenge was remembering which way to snap the lever after a universe of all H-pattern. 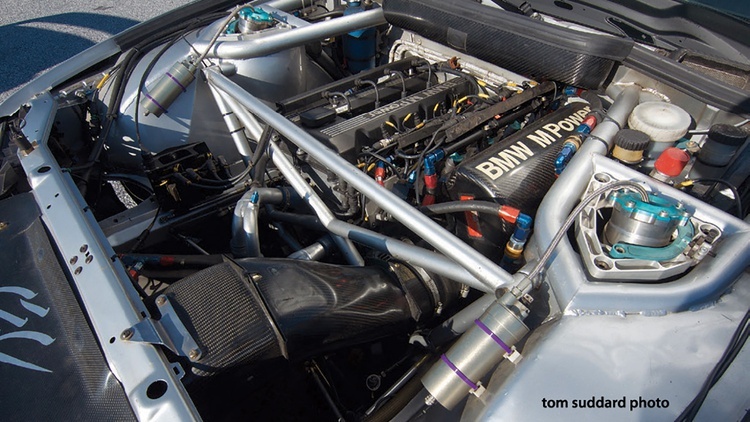 The E36 M3 GT race car solved that low-torque issue with another liter. Our TC Kline Racing car was just like the PTG machines that dominated GT for a solid two years. Huge slicks jutted out under honking flares, and grip was much stronger as well. I’ve always preferred that look: a stock body with giant protrusions instead of a smooth wide-body. So aggressive. This GT was much more race car than the Touring Car–everything bigger and better. But the sedan-based layout, front-engine-rear-drive, magnified the primary setup issue of getting power to the ground. 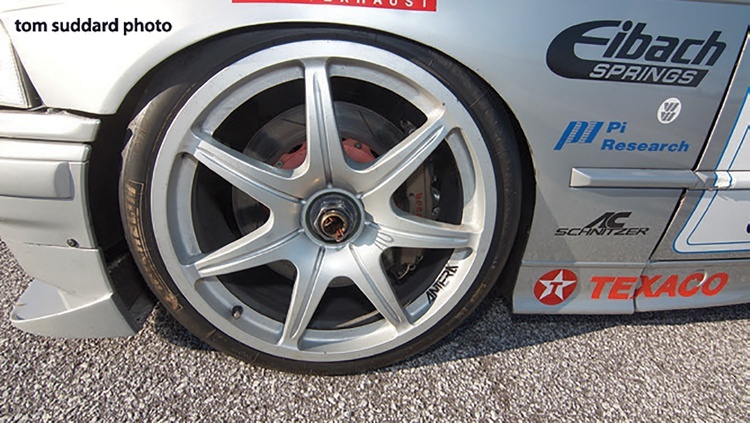 The car required a controlled throttle foot to manage those rather lightly loaded rear tires. I used a very gentle initial input, working to transfer the weight back before ramping up the power. The center contains its own tracks and offers courses aimed at teens, commuters and driving enthusiasts. 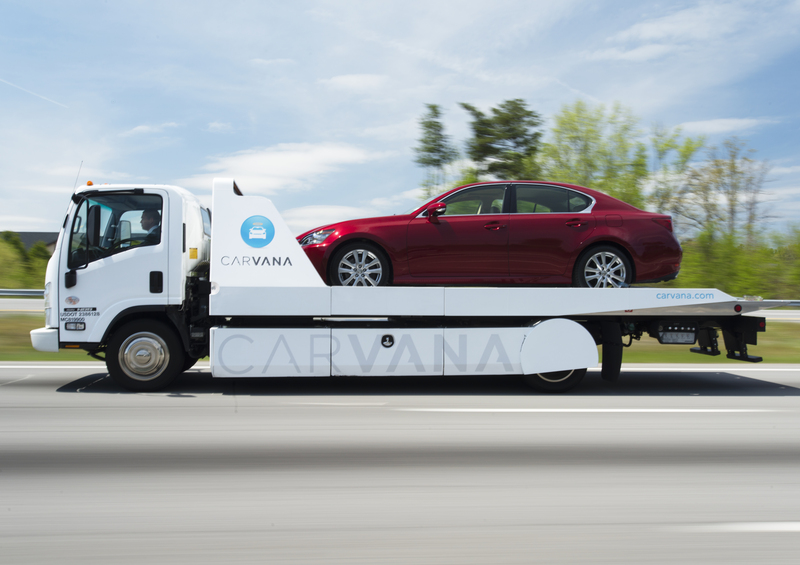 All of the programs are arrive-and-drive, too, and the fleet contains the latest BMW products. Other fun opportunities you’ll find there: drift instruction, an off-road experience, and courses dedicated to the brand’s M-badged cars. The Performance Center also offers delivery of new BMWs. That means you can order a car at your local dealer and then pick it up in South Carolina–a no-cost option for any new BMW. The experience includes one night’s stay at the Greenville Marriott plus classroom instruction and on-track exercises in a new BMW similar to the one you ordered. Then it’s time for the big reveal: your fresh-from-the-factory BMW, hand-waxed and ready for the drive home. My salad days! Great story, David and GRM, Brings back so many memories. And thank you TC for putting me in so many fabulous BMW’s in the 90’s, including the amazing M5 in IMSA Bridgestone Supercar series. Be sure to catch my few paragraphs later in story, GRM readers! I was SO there. 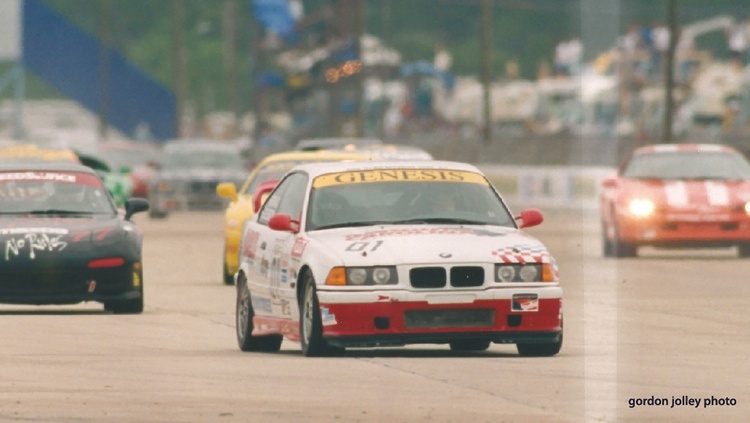 With TC Kline Racing, we also had a strong run at the Rolex 24 in about 1998 in an ex-PTG E36 M3, finishing fifth, ahead of all the factory cars, as I recall. Bob Mazzucoula (spelling? sry)and Aspen Knolls sponsored, w Shane Lewis, too. Don't forget, BMW Canada brought us the real E36 M3 (you can read that either way) back in 1994 instead of the lower spec North America version. I wonder if the car would have sold as well if it had been an M330i with the real M3 also available throughout the US/Canada considering they did something similar with the E34 during the same time frame (M540i and M5) and later E46 (330i ZHP and M3). 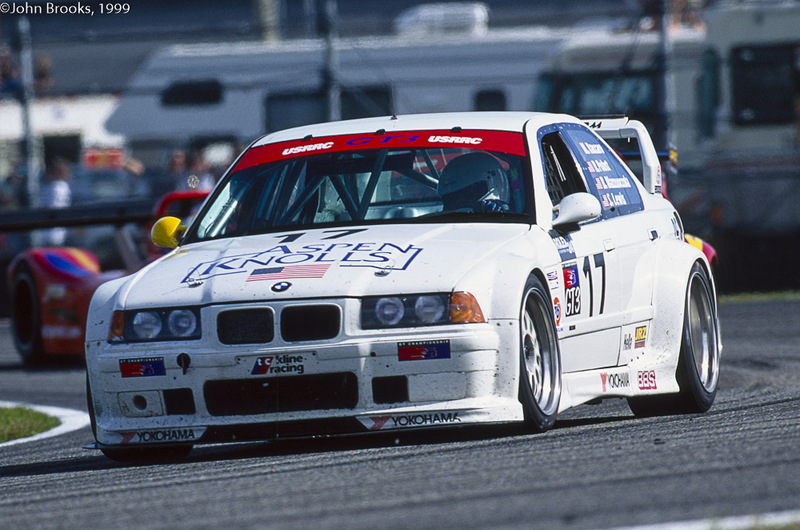 With TC Kline Racing, we also had a strong run at the Rolex 24 in about 1998 in an ex-PTG E36 M3, finishing fifth, ahead of all the factory cars, as I recall. Scott Hughes has long been associated with the BMW brand. He’s been a member of the BMW Car Club of America since 1970, and he founded the group’s Club Racing program. He serves on the board of the BMW CCA Foundation, the club’s charitable arm that, among other things, made the Tire Rack Street Survival program a reality. 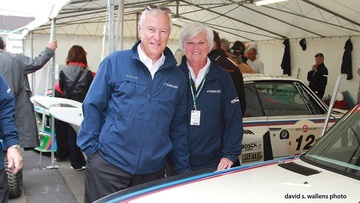 And Scott (shown here with his wife, Fran) has put together an amazing collection of BMW race cars. In addition to the three cars featured here, he also owns a genuine 3.0 CSL that raced at Le Mans–you can read about that one at classicmotorsports.com – plus an E30-chassis M3 campaigned by Korman Autoworks during the 1987 IMSA Firehawk season. The BMW CCA Foundation was formed to, in its words, “establish programs to benefit the public in general, and BMW owners specifically.” So what, exactly, do they do? A lot. Teen Driving Safety: The Tire Rack Street Survival website opens with a sobering statistic: “Motor vehicle crashes are the leading cause of death for all 15 – 20 year olds.” In 2002, the foundation set out to do something about that situation, launching Tire Rack Street Survival. This program, which has since grown to a coast-to-coast effort, features reasonably priced, hands-on driving instruction for teens. 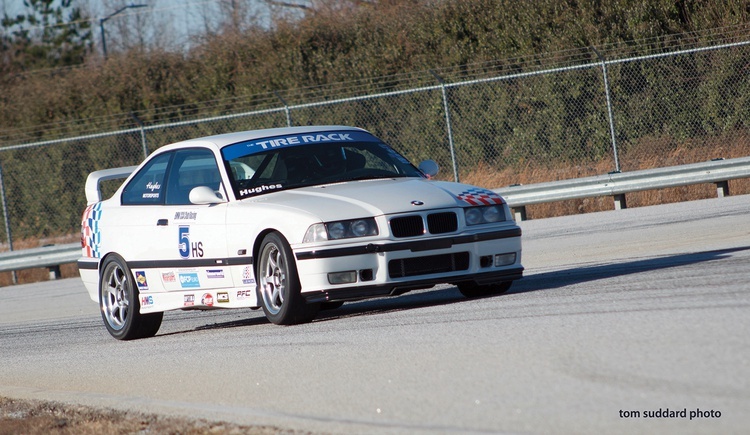 In addition to Tire Rack, the program is supported by BMW, Michelin, Enterprise and the SCCA. Library and Museum: The foundation operates its own museum featuring all things BMW-from cars and artifacts to historical documents and sales literature. The museum is open to the public and can be found at 190 Manatee Court in Greer, South Carolina, right next to the BMW Performance Center. Conservation and Preservation: To keep those 50,000-plus BMW artifacts around for future enthusiasts, the foundation operates its own preservation program.